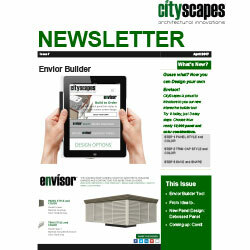 CityScapes is proud to introduce to you our new interactive builder too! Try it today, just 3 easy steps. Choose from nearly 10,000 panel and color combinations.